I’ve had these notecards for a while but haven’t used them. They’re cute, but I like to give hand made cards when possible. So, I decided to have some fun altering it, and use it as a layer for a hand made card. First I sanded the surface of the card. Then, I added some gesso circles using a stencil and sponged them with pink ink. 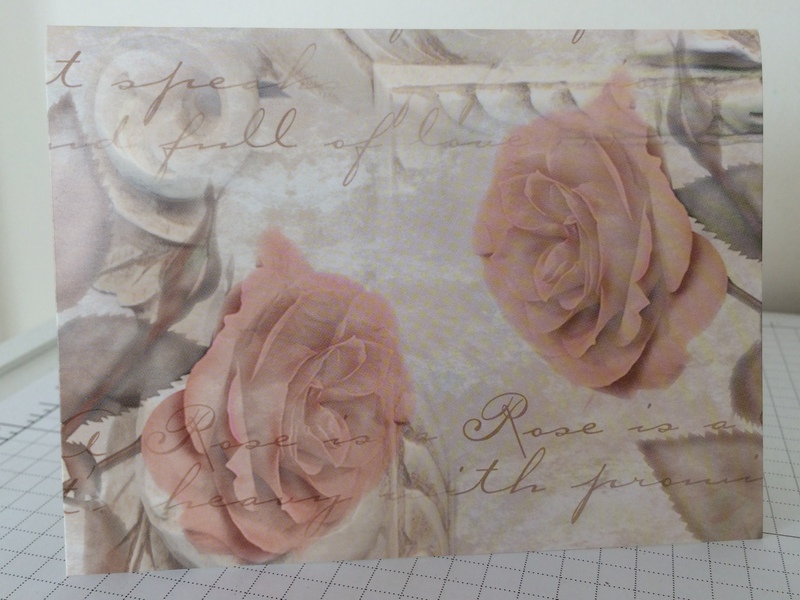 Next, I stamped foliage and background spots, and sprayed it with Smooch Spritz. I inked the edges of the notecard, the card base, and the sentiment pieces. The brown edge to the sentiment has some paper piercing. The ivory piece has a scallop border punched on the left side. 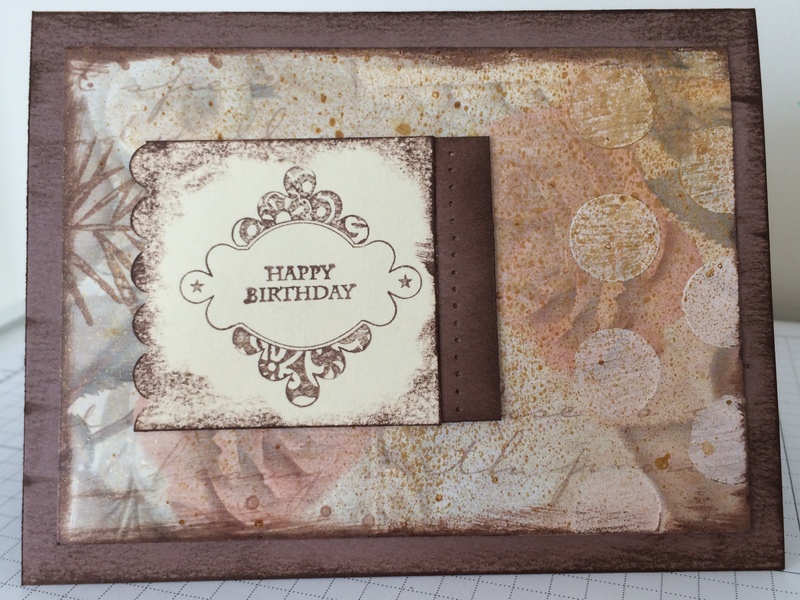 For the sentiment, I inked the frame of the Christmas stamp from retired Stampin’ Up Set Punches Three, then added a small Happy Birthday stamp inside (retired SU Set Postage Collection). It was a fun way to add a personal touch to a store bought product.